600 Cubic Heating Stainless Steel Outer Coil Reactor, In the reaction kettle into the inner reaction solvent can do stirring reaction, sandwich can be connected to different cold and heat sources (frozen liquid, hot water or hot oil) to do loop heating or cooling reaction. Through the reactor sandwich, into the constant temperature (high or low temperature) hot melt media or cooling medium, the contents of the reactor constant temperature heating or cooling. At the same time according to the requirements of the use of atmospheric or negative pressure conditions for stirring reaction. The reaction of the material in the reactor, and can control the reaction solution evaporation and reflux, the reaction is completed, the material can be discharged from the bottom of the kettle outlet, the operation is very convenient. Our company produces (electric, vapor, oil heating) stainless steel reaction kettle composed of kettle lid, cylinder body, jacket, stirring machine, shaft-end conveying system and supporting bearings. Kettle body and ports that contact materials are all made from OCr18Ni9 or 1Cr18Ni9Ti acid-resistant stainless steel plates. We are professional in manufacturing stainless steel reaction kettles and ready to undertake production of equipment in chemistry industry and non-standard equipment in light industry. Any inquiry is welcome. The stirring methods of the kettle include traditional paddle stirring, turbo stirring, push stirring, anchor stirring, frame stirring, helical stirring and saw disk stirring, etc. We especially recommend high shear emulsifying reaction kettle, one combining frame stirring and high shear emulsifier and wall cleaner. The outstanding point of this reactor is the integration of dispersing, mixing, emulsifying, homogenizing and shredding, featured with super fineness, high quality and efficiency. As production technology users, the operating conditions vary, heating patterns into electric rods Jacket heating, steam heating, HTF cycle heating, mechanical seals and sealing device packed into sealed mixing patterns are anchored, Pulp, pots wheel. Push or frame. Opening number, specifications or other requirements of users can design and production. 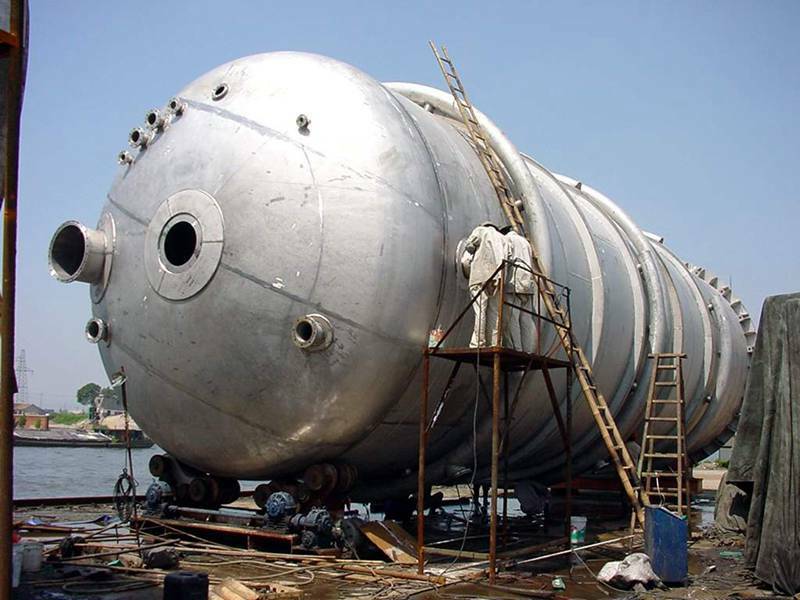 Looking for ideal 600 Cubic Heating Reactor Manufacturer & supplier ? We have a wide selection at great prices to help you get creative. All the Outer Coil Reactor are quality guaranteed. We are China Origin Factory of 600 Cubic Outer Coil Reactor. If you have any question, please feel free to contact us.